Want to learn how to support your health, manage emotions, and protect your family? GREAT! That's exactly what I help people with around here. I am guessing you stopped by because you are tired of being surrounded by chemicals and products that are full of toxins and instead, looking for natural solutions and alternative ideas that are clean for your body and environment. You are ready to learn about better options! overwhelmed, confused, and lost. Sound familiar? have a strong desire and you are READY to build a healthier lifestyle for yourself! nO matter where you are in this process, you ultimately want to be in control of your health and your life. I've been where you are, I know what it's like! My mission is to positively affect as many people's lives through my intuitive and holistic approach to eating and living healthy. So, how did this become my life? Born and raised in Italy, I came to NYC 20 years ago with a dollar in my pocket and a desire to learn English. At that time, I was a skinny young man, an avid cigarette smoker, and food for me was important but I just didn’t know how to source what was right for my body. I also never really learned to cook until I was on my own. Looking back, I realize that I had several challenging conditions that I didn't address like fatigue, lack of mental focus, bloating, digestive issues, skin rashes, and uncontrolled irrational and emotional behavior. By making adjustments to my nutrition, exercise, and self-care, all the hard work these years has finally removed all those issues and I have never been healthier! Food was the first step that led me on this wellness journey towards finding other natural solutions for additional support- my life has completely changed and I am thrilled of becoming the person that I am meant to be. 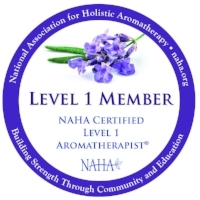 I’m a certified Integrative Nutrition Health Coach, an Esogetics Colorpuncture certified practitioner (according to Peter Mandel), and certified for Aromatherapy Level One. I use the power of Food, colors & lights, and plant-based natural solutions to help people change their narrative and trigger self-healing and self-growth at the Body-Mind-Spirit level. Through workshops, online coaching, events, and my Facebook an Instagram communities, I am here to help and support YOU in your quest to wellness. I’m glad to have you here! I'm contacting you because... * I'm a visitor and I have a question I 'd like to redeem my incentive for enrolling with you I have a question about Therapeutic Grade Essential Oils I'm thinking about buying in your shop, but I have a question I'd like to collaborate I'd like to submit a guest post I want to give you a testimonial!